Three English co-defendants who plead guilty to being members of the Lulzsec hacktivist group were today sentenced by a U.K. court. Ryan Acroyd, the most technically experienced of the three, received the longest sentence – he will spend 15 months in prison. By contrast, their American co-defendant Jeremy Hammond has already spent 14 months awaiting trial in a federal case that carries charges that could result in up to 42 years of prison time – a virtual life sentence for the 28 year old. Hammond has been denied bail or access to family members. “It’s a disturbing commentary on the U.S. criminal justice system that Jeremy Hammond, a young activist who is an asset to his community, will spend longer in pre-trial detention for his alleged participation in these online protests than any of his international codefendants will when they have fully served their sentences,” said National Lawyers Guild Executive Director Heidi Boghosian. The three online activists, Ryan Ackroyd and Jake Davis will be imprisoned for 15 months, and one year, respectively – al-Bassam will not see jail time, but will have to complete 300 hours of community service. The U.K.’s sentencing structure allows people convicted of crimes to serve out the second half of their sentences on “licence,” the equivalent of the United States’ parole, meaning that Ackroyd’s and Davis’ 30 month and two year sentences will result in the prison times mentioned above. The three have been free on bail since their arrests in March 2012. Two Irish Internet activists accused of participating in LulzSec have gone free without charge in Ireland, which does not have an extradition treaty with the U.S. The acts the English activists plead guilty to—gaining access to and disseminating information from corporate and government websites—mirror the charges facing Hammond. Hammond is accused of publicizing internal emails of the private spying agency Stratfor through the whistle-blowing website Wikileaks. The emails contained many revelations, including Stratfor’s spying on Bhopal activists at the behest of Dow Chemical and monitoring Occupy Wall Street for the U.S. Department of Homeland Security. United States attorneys charged Hammond with five felony counts, including three under the Computer Fraud and Abuse Act (CFAA). Each of the CFAA counts carries a ten-year maximum prison sentence. Written in 1984 and long criticized for being outdated and vague, the CFAA has seen increasing use against information activists in an effort to criminalize everything from the sharing of links to violating terms of service agreements. 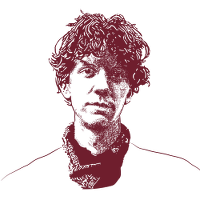 The most highly publicized CFAA case involved 26 year-old information activist Aaron Swartz, who was threatened with decades in prison for downloading freely available documents from the academic database JSTOR. Swartz took his own life earlier this year. The National Lawyers Guild is the oldest and largest public interest/human rights bar organization in the United States. Its headquarters are in New York and it has members in every state.